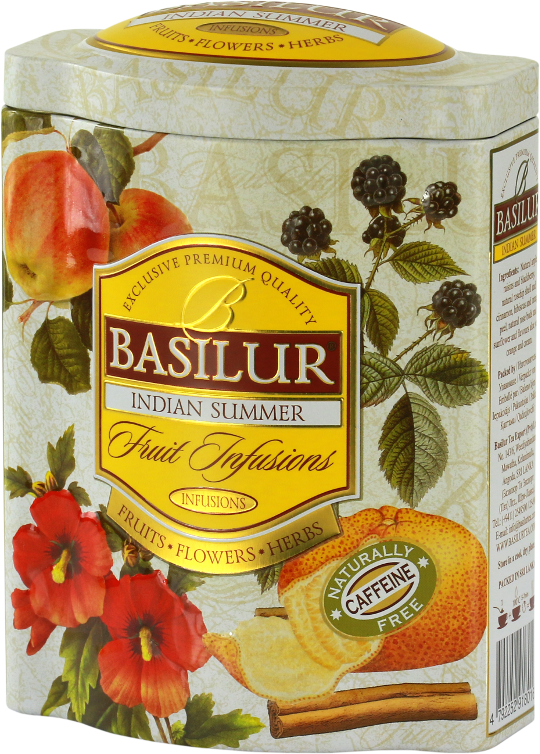 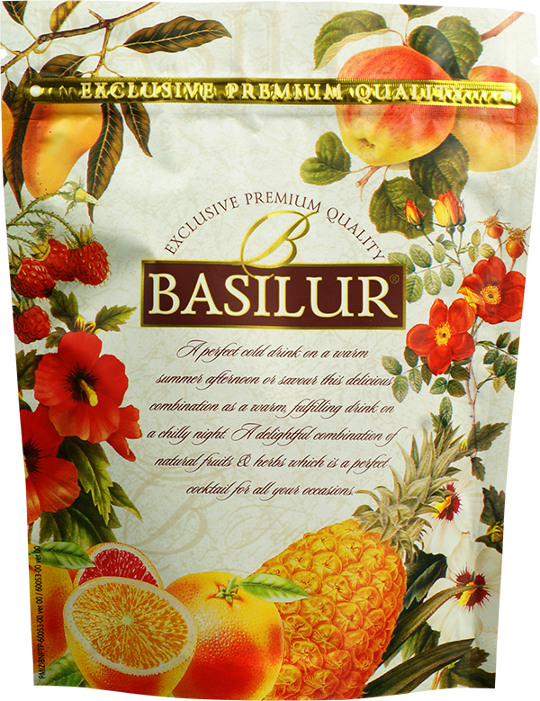 Basilur's Indian Summer Tea is a rich infusion of natural apple, plum, rosehip shell and other natural ingredients providing the rich flavours of India. 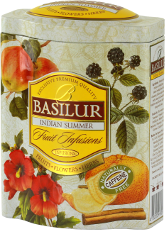 A perfect afternoon chilled drink to be enjoyed on a warm summer or a perfect accompaniment to any rich spicy snack. 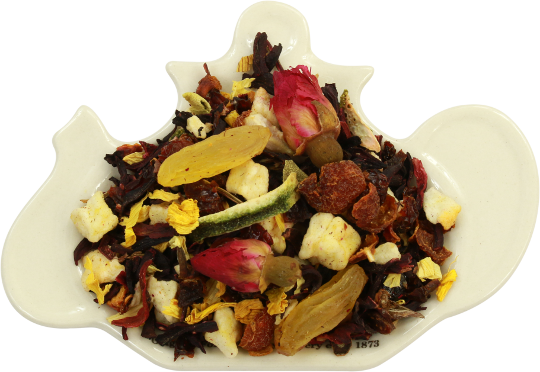 Ingredients: apple and plums, natural rosehip shell and cinnamon, hibiscus and orange peel, natural rose buds and sunflower and flavours aloe vera, orange and cream.